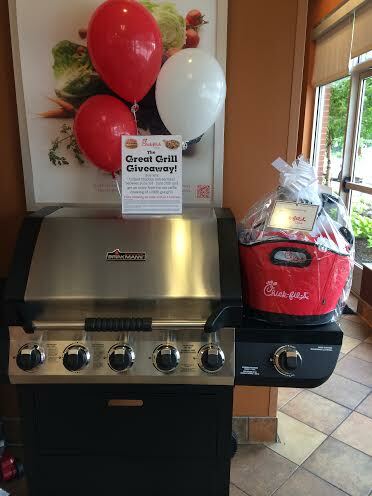 In addition to the grill giveaway, they're also having a party to celebrate summer! 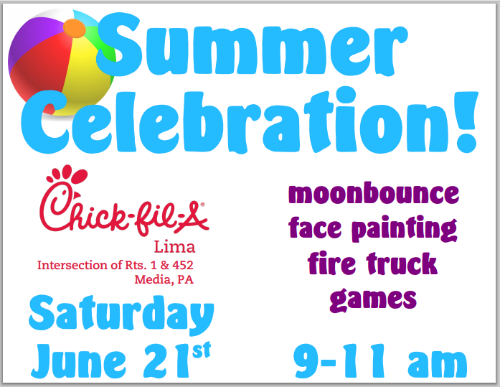 On the big day, when they announce the winner of the grill, they are also throwing a summer celebration for the community which will include a moonbounce, face painting, a fire truck and games. It's their way of saying thank you and providing a fun morning out for the community. The kind folks at Chick-fil-A Lima have also given me a gift basket for one of my lucky readers. In order to win the gift basket you'll need to enter using the Rafflecopter widget below, AND be willing to pick up the basket at the Chick-fil-A restaurant in Lima, PA. The gift basket is worth over $175! Good luck to everyone who enters! Don't forget to head to Delco Deal Diva's Website for another chance to win! Chick-fil-A Gift Basket Giveaway Rules are listed in the Rafflecopter widget above. One (1) entry per grilled item purchased. Qualifying grilled chicken entrees/meals are grilled chicken sandwich, grilled chicken club sandwich, grilled chicken cool wrap, grilled nuggets, grilled Market salad, grilled Cobb salad, and grilled Asian salad. Chick-fil-A prizes are nontransferrable and resale is strictly prohibited. All email address entries will be compiled from Monday, June 2, 2014 through Friday, June 20, 2014. 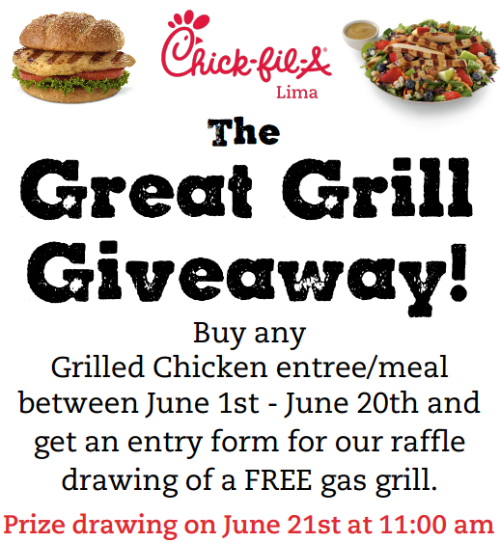 At 11:00 AM (EST) on Saturday, June 21, 2014, we will randomly select one winner of the gas grill on display in our restaurant, Chick-fil-A, Lima. Winner will be notified via email. Winner must provide moving and transport of the gas grill. Prizes not claimed within 7 days will be deemed forfeited and become the property of Chick-fil-A, Lima. Good Luck! Limitation on Liability. By entering this promotion, each entrant forever discharges and releases Sponsor(s), its/their parent companies, subsidiaries, affiliates, and their respective directors, officers, employees, and agents from any and all liability, claims, causes of action, suits, and demands of any kind arising from or in connection with the promotion, including, without limitation, responsibility for property damage, loss of life, or personal injury resulting from or in connection with participating in the promotion or from or in connection with use or receipt of the prize(s), however caused. Older PostReasons to Love Minor League Baseball!